Wedding, it is a beautiful world. Different cultures have different wedding tradition. Across the world, brides wear different types of wedding dresses. The moment is really magical when the bride in white gown walk down aisle and groom in black or white tuxedo hold her hand swears to become life partners. We all have seen brides from all over the world to wear a beautiful wedding dress on their wedding day. In many cultures, brides wear a red color dress while in western culture; white color is the favorite color of brides. However, the white color gown has not always been in trend among brides. Even it is not 10 centuries-old trend. The approximate age of the white church suits worn by brides is 180 years old. In this 21-st century, modern brides such as Kate Middleton or Megan Markel choose wore a white gown on their big day. Today, the bride to be women spend thousands of dollars on their wedding dresses. They spend months searching for the perfect bridal gown for their wedding. There are many styles and designs available in wedding gowns but this wasn’t the same thing in old times. Different color wedding gowns were in trend. During this time, the wedding was considered to be more important than just the union of two people. 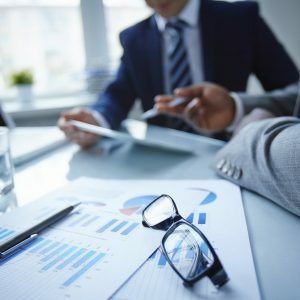 It could be the union of two empires, businesses, families and countries. Even, there were weddings to build political relations. This was done by elite people from high social classes. It was expected from brides to wear a decent dress that enhances the image of their family’s social status as they were representing their families and not only themselves. At that time, brides who hailed from wealthy families choose to wear bright colors and vibrant fabrics such as fur, silk, and velvet which were famous among high-class people. Brides used to be dressed as per fashion norms of that time and they wore the exclusive fabrics. However, the poor brides wore church suits on their big day. The price of fabric used in making a wedding dress was the reflection of the social status of the bride and wealth of her family to wedding guests. 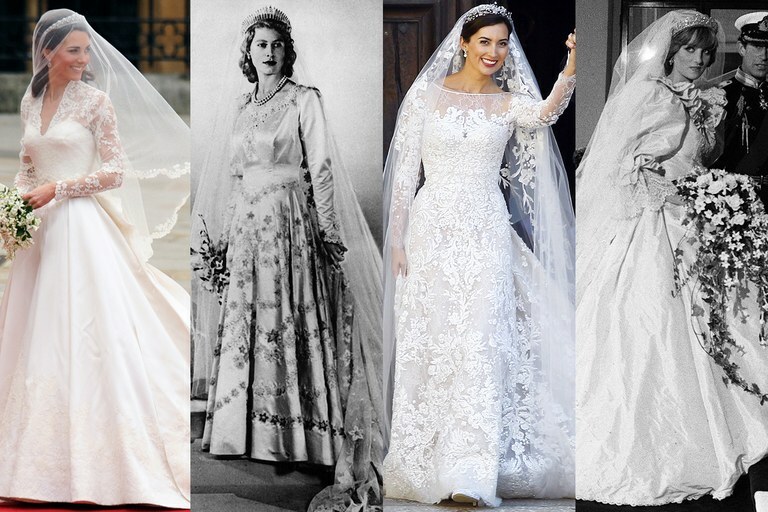 From 1929 to 1960s, the wedding dresses of brides reflected the styles of the day and from that time; Victorian styles wedding dresses become quite popular among brides. Let’s go back to history to know more about the white gown and who wore it first. It is documented that the first woman who wore a white wedding dress at her wedding in 1406 was Philippa of England who married Eric of Pomerania. It was a royal wedding. She opted for white silk bordered tunic with a clock that had squirrel and ermine. In 1559, Queen of Scot, Mary wore a white wedding dress on her wedding to her first husband who was Francis, the Dauphin of France. For French Queens, white was the color of mourning but this was the favorite color of the queen, so she wore a white gown. However, she was highly criticized for this. A few years later, her husband died and she was held accused of his death. She was also accused of cursing her husband because she wore a mourning color on her wedding day. 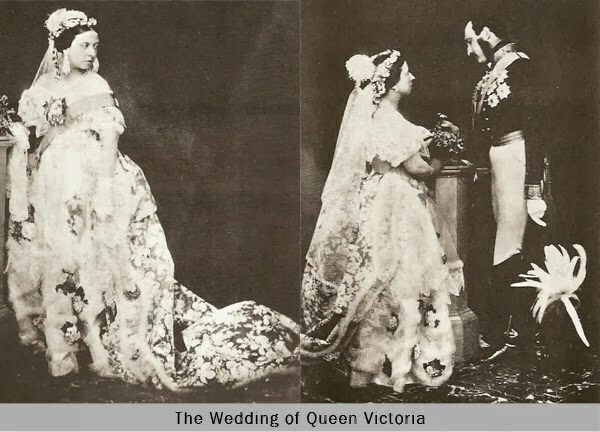 However, another queen who challenged the trends and wore a white gown on her wedding was Queen Victoria. Her wedding dress style was the main center of attraction on her big day. On her wedding which was on February 10, 1840, she married Albert and set the trend of white wedding gowns. She wore a beautiful lacy white gown along with an orange blossom wreath. However, she was also questioned for her choice of color by the minister of the court. The dress became a hit among and soon many other women choose to wear Victoria-inspired dresses for their weddings. At that time, women’s magazine the Godey’s Lady Book declared white color gown a new thing and a new custom. Soon, many brides wore a white gown on their big day. White color became a hit and sign of purity and innocence. That is where the trend of wearing a white gown started. It is believed by the western people that white color was the only option for wedding gowns. White is not a universal color in many traditions. In many countries like India, brides prefer red color while white is considered a mourning color. However, today, it does not matter what color you choose for your wedding dress, the only thing that matters the most that bride and groom remain happy for life.